﻿ High Drama In Kukatpally: 17.5 Lakh Seized! High Drama In Kukatpally: 17.5 Lakh Seized! High Drama took place in Kukatpally Constituency, where TDP fielded Nandamuri Suhasini as its candidate, on Wednesday night. About three people reached the house of TDP SC Corporation Chairman Jupudi Prabhakar in Balaji Nagar in an Innova Car at around 9.30 PM. Out of suspicion that they might be planning to bribe the voters, Information has been passed to the Police. 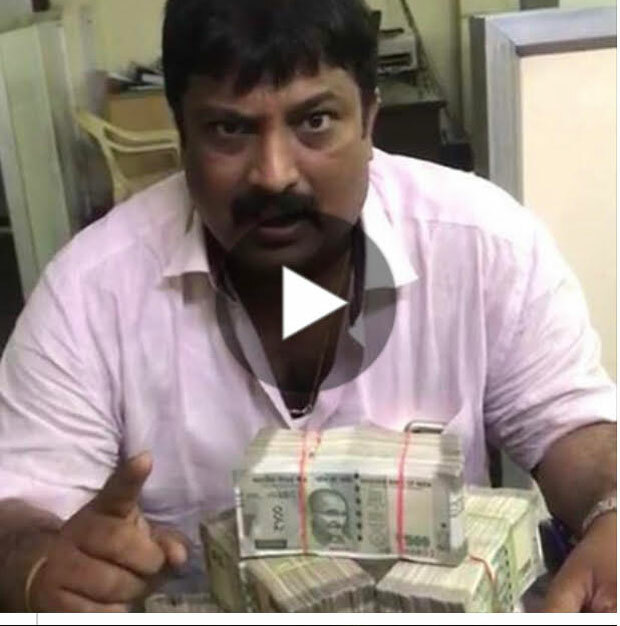 When the three people are trying to escape jumping the fencing wall, TRS Activists got hold of one of them and handed over Rs 17.5 lakh he brought to the cops. Later, TRS Workers staged a dharna before the residence of Jupudi Prabhakar alleging that the two men who escaped have brought huge amount to influence the voters. Police have been trying to trace the other two people as early as possible. Kukatpally is a high profile constituency. While TRS offered ticket to Sitting MLA Madhavaram Krishna Rao, TDP relied on Nandamuri Sentiment for proving its existence. Looks like, TDP Leadership lacked confidence on the victory of Suhasini and hence such tactics have been planned. KCR Will Be CM Again! Who Said It?